Another successful year is in the books for FOL’s free grocery program and school supply program. Our monthly grocery program has been operating for five years and serves about sixty families per event, with an average family size of 4.5. That is nearly three hundred people we are helping to feed each month! Any low-income families or individuals are welcome to register for our free grocery events. We hand out fresh fruit, vegetables, milk, bread, eggs, chicken, and canned goods. The more members in a family, the more food that family receives. Our school supply program happens every year in the fall, when students are beginning the new school year. 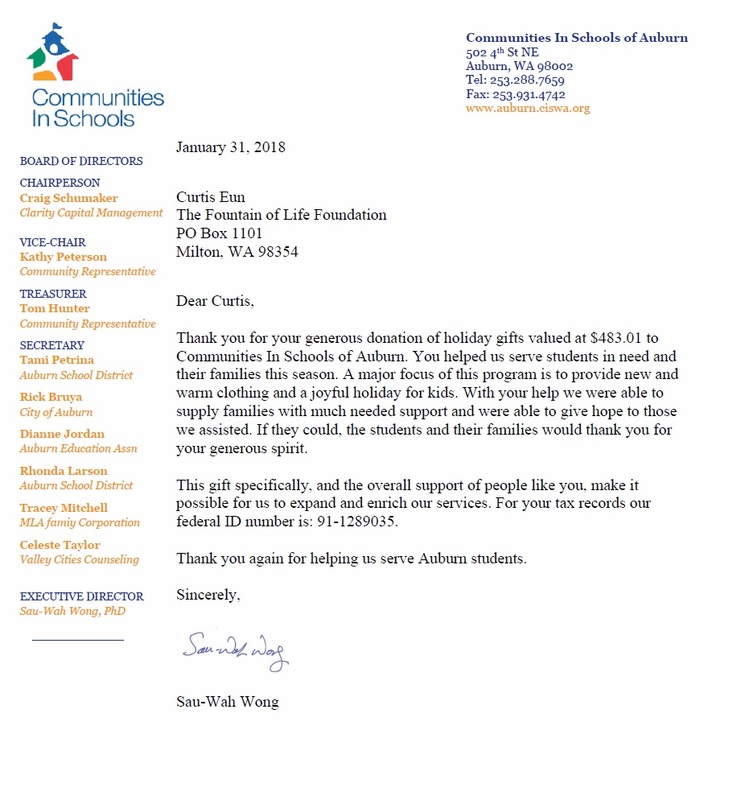 Five years ago, we “adopted” several low-income schools in the Auburn and Federal Way public elementary school districts. Schools submit requests to us for materials and supplies that they or their students need. These items include school uniforms, traffic safety vests, first aid kits, shoes, jackets, and gloves. 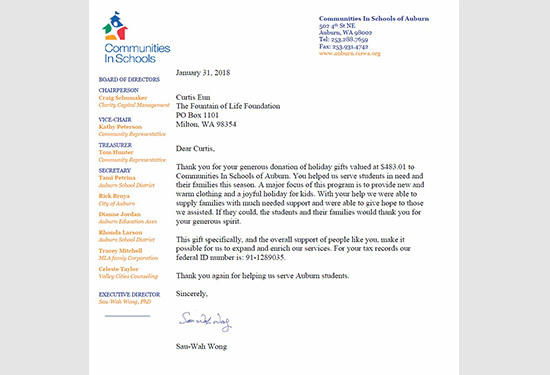 We were able to donate $3,000 worth of items to the schools this year. If you would like to donate to this program, please visit our online donation page. Thank you!